We hear all the time about how difficult the car-buying process can be. Even though there's so much information available, having to go through all that information to find the right car can be overwhelming and exhausting for drivers! That's why we're here to help. We create these model research pages for the benefit of drivers trying to learn all they can about a vehicle model in a quick and concise way. In these pages, we break down all the key information drivers need to know about the latest and most popular models available. 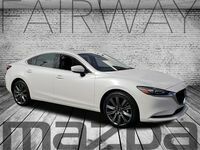 For this page, we're going to be looking at the 2018 Mazda6, one of the most popular sedans today. We're going to look at its engine specifications, interior qualities and technology features. 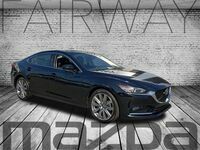 Let's see all that this Mazda sedan has to offer! No better place to start underneath the hood! 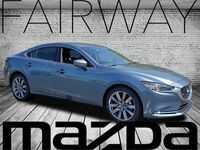 The 2018 Mazda6 focuses not only on performance but efficiency as well. This all comes from its impressive standard engine, the SKYACTIV®-G 2.5-liter 4-cylinder. This spunky engine offers drivers a solid 187 horsepower and 186 lbs-ft of torque while also getting an incredible EPA-estimated 35 mpg highway! Performance and efficiency! Drivers entering the 2018 Mazda6 will immediately recognize the quality craftsmanship and innovation on the interior that is common throughout Mazda vehicles. The Mazda6's interior features new cushioned materials on the seats as well as heated and ventilated seats for maximum comfort. Plus, with the Mazda6's sound-deadening materials, your drive has never been more peaceful. Of course, it's not a Mazda without the latest and most innovative technology features available today. Navigating music, entertainment and information have never been easier than in the Mazda6 thanks to its new 8.0-inch MAZDA CONNECT™ infotainment display which offers improved viewability. And, your music will sound better than ever thanks to the Mazda6's Bose Surround Sound audio system. As great as those specifications and features may be, they're still not as important as safety. Why would anyone buy a vehicle that isn't safe? That's why the 2018 Mazda6 comes with numerous advanced safety features and driver-assist technologies for a safer driving experience. Like the Rear Cross Traffic Alert, which makes backing out of your parking spot less stressful by helping to detect vehicles that approach from the side and will immediately alert the driver. Then, once you're on the road, the Lane Departure Warning System and Lane-Keep Assist will help make sure that you're always staying safe and staying in your lane. 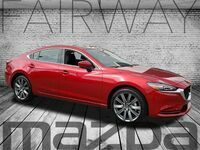 Want to learn more about the 2018 Mazda6? Ready to get behind the wheel of one? 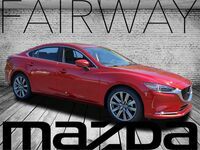 Contact our staff at Fairway Mazda for more information or to schedule a test drive today!